Making Money from Instagram is nothing new for some people. Even now there are many unique ways to make money from this short image and video-based social media. Do not believe it? Or do not know yet? Read on in this article. Who does not know the # Instagram? In Indonesia, Instagram is one of the most popular social media today. According to a news story on the CNN website, in mid-2016 then Instagram users in Indonesia alone reached 22 million people. Of course, Instagram users continue to increase in the year 2017 and so on. What do you think of that number? BUSINESS OPPORTUNITY ! Where there is a crowd, there is a profitable business opportunity! This is a natural law that we must be grateful for. This method is the most commonly found on Instagram. There are a lot of Instagram accounts made specifically to sell on Instagram. Products sold also vary, in accordance with the niche Instagramnya account, ranging from physical products and digital products. The best-selling physical products sold on Instagram are usually related to women, such as women's clothing, cosmetics, accessories, and others. While digital products are sold on Instagram usually is eBook, and also membership. Those who do not have their own products, usually selling with dropship systems or resellers from other online stores. 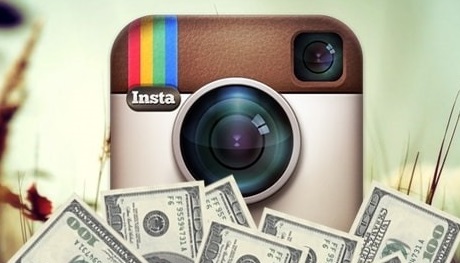 So, there's no reason not to sell online on Instagram. Promotion media already exists and products that want to sell already exists. In addition to selling physical products and digital products, on Instagram, we can also find accounts that sell services. Then what services can be sold to make money from Instagram? Designing services (logo design, business card design, banner design, etc.). Online business from Instagram this one is pretty much done by the owners of Instagram accounts that have many followers. According to some information I found on some websites, buzzer services on Instagram can earn at least $ 40 per day. But to be able to attract the attention of the prospective advertiser, your Instagram account must have at least 100,000 followers. There are even some advertisers who set a minimum of 500,000 followers. Usually, the need for this buzzer service is the online merchants who have little followers. With buzzer services, it is expected they get new followers or product sales happen. This one business is perfectly done by the users of Instagram who also have a hobby of shopping and traveling. They are also called as the personal shopper and most who run this business via Instagram are the women. If by chance you are often traveling to places of interest (eg abroad), you can run the business services to buy this item. Or you can also run this business in the country alone, for example by frequent visits to exhibitions, distros, malls, shopping centers, and other places of interest that often sell unique products. Then you photograph all the products that are there and post it on your social media account by tagging as necessary. This way you can run a business with minimal capital but profitable. Well, this is perfect for those who have a hobby of photography and often produce good photo shots. Photography lovers can post photos of their work to Instagram, of course, by giving a watermark first. Of the many users Instagram, most likely there will be interested to buy your photos. If they want to get a photo without a watermark, they can buy it from you. This endorser is different from the buzzer. Being an endorser means you are like an ambassador of a particular product. And to become an endorser, you have to be a famous person and have lots of fans that you can influence. One example of well-known endorser on Instagram is Ayu Tinging. As an endorser, Ayu Tingting will promote a product in his Instagram account using a certain format, such as text, images, or short video. In addition to earning money, an endorser will get the product promoted by him for free. How to earn money from Instagram this one is usually done by the 'breeders' Instagram account. Business cattle Instagram account is quite loud who and proved enough to buy Instagram account they sell. Of course, the account being sold is not just an account. Instagram farmers usually sell accounts that are old enough and have specific followers. How do they make an Instagram account? Usually they use special software to increase the number of followers, but of course, there are risks and other things they face. So, not just anyone can sell the Instagram account. From the above explanation, we know that the opportunity to make money from Instagram is actually very promising. You can choose one way that suits your ability, and I am optimistic that everyone can make money on their Instagram account.